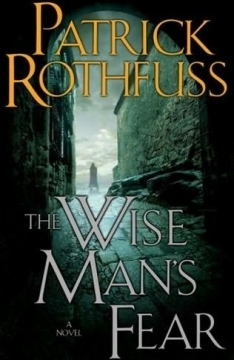 The Wise Man’s Fear is the second book in Rothfuss’ Kingkiller Chronicles. Many people use the words “criticially acclaimed,” but in this case the description is very accurate. The Wise Man’s Fear continues the mesmerizing slow reveal of the story of Kvothe the Bloodless, an orphaned actor who became a fearsome hero before banishing himself to a tiny town in the middle of Newarre. On Barnes & Noble.com’s Explorations blog, experienced book reviewer Paul Goat Allen had this to say about The Wise Man’s Fear, “Let’s not beat around the bush. I’ve read arguably just as much fantasy as anyone alive (it’s been my job for the last 20 years) and I have never read anything as so totally immersive – and audaciously innovative – as Patrick Rothfuss’s Kingkiller Chronicle. The saga of Kvothe is a timeless, towering, masterwork. The Kingkiller Chronicle – a projected trilogy – is nothing short of the 21st Century equivalent of The Lord of the Rings and Patrick Rothfuss the next coming of Tolkien.